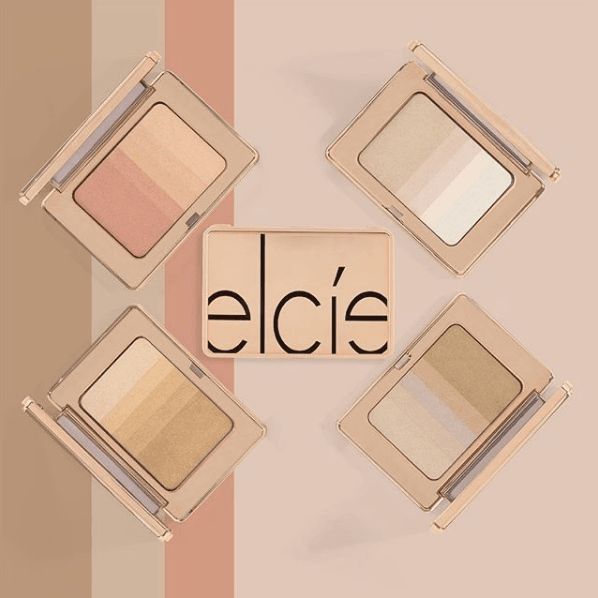 Elcie Cosmetics is launching their new Skin Reflector Highlighter TODAY, Thursday, 6.21! These highlighters are pretty unique in that each one comes in this super cool gradient where you get four separate shades in one! The shade combinations are Pearly Glaze, Rosey Blaze, Golden Haze & Copper Rays. These little beauties will be $34 each. First of all, we are IN LOVE with the packaging! It’s soooo sleek and simple but totally lovely! It truly looks like a luxury product! And the shades – so stunning! We are loving the range included here: from a light champagne pink to a rose gold to a light gold to a deeper bronze. Each one looks soooooo pigmented and hella glowy! The best part? Each highlighter is really like 5 highlighters in once because of the gradient design! You can either swirl them all together OR use a smaller brush/your finger to isolate certain shades to be used on their own! I think this justifies the price tag of $34. 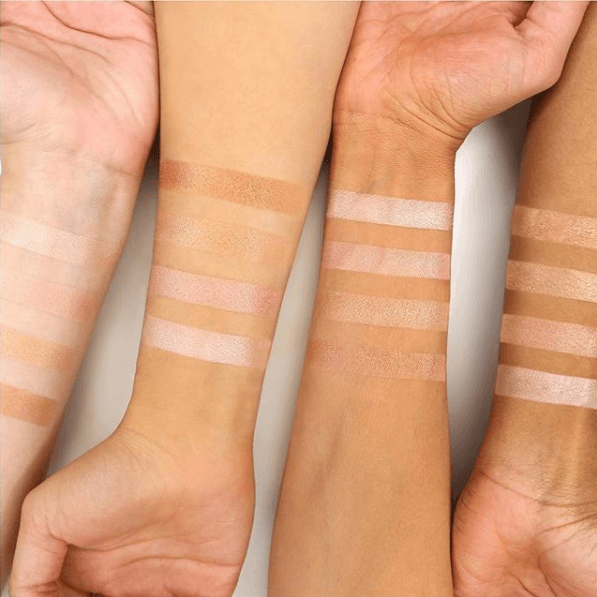 The only potential problem I see here is that the darkest one is probably the only one that will work for deeper skin tones as the first 3 are quite light and more suitable for lighter to medium skin tones. 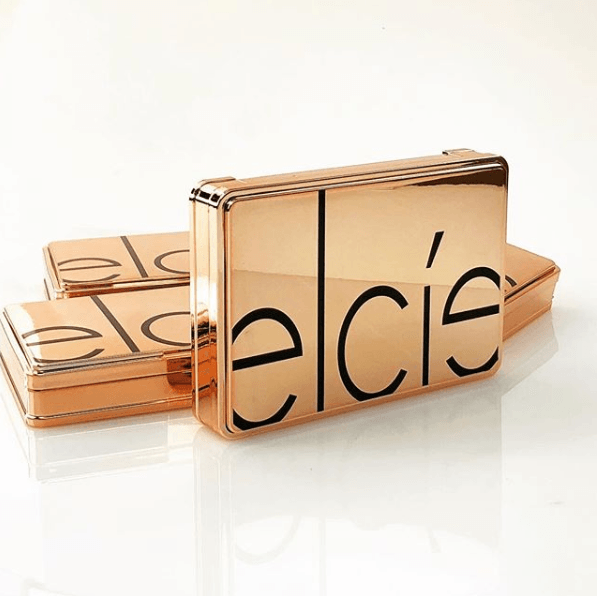 We have been pretty impressed with what we’ve seen from Elcie so far and can’t wait for what is yet to come!